WhatsApp is making yet another change to its service to prevent the spread of misinformation by neutering its message forwarding function. Users will now only be able to forward messages to 20 contacts at a time; people in India will be limited to forwarding messages to only five people at a time. In addition, the shortcut button for forwarding messages that appears next to images and video will be removed. The government responded earlier this month by demanding that WhatsApp make changes to its platform to address the spread of fake news – without itself doing much to tackle the systemic issues leading up to these horrific incidents. WhatsApp then began labeling forwarded messages to make it clear that they weren’t created by the person sending them. It also placed ads in prominent Indian newspapers with instructions on how to identify misinformation. The Economic Times reported earlier this week that the Indian government wasn’t satisfied with those initiatives, and that it wanted WhatsApp to do more – like identify group conversations where rumors are being spread. 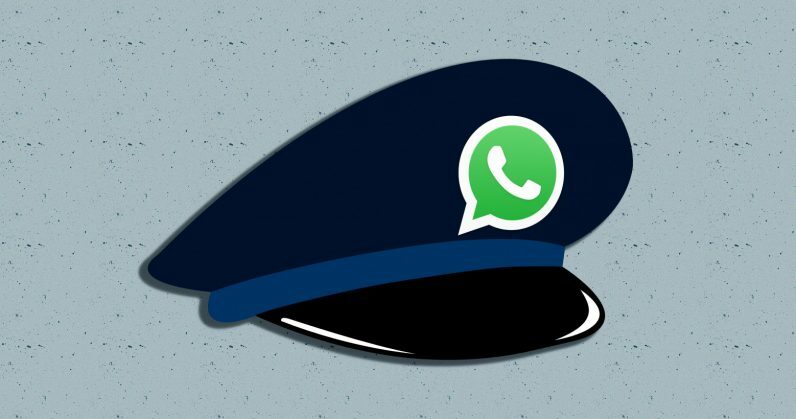 It’s also set up an internal group to look into other measures the company can take, and consider sending a second notice to force WhatsApp to do more. There’s plenty at stake here for WhatsApp; it has more than 200 million users in India, and has been working to support payments on its platform using the country’s UPI protocol, which allows for instant money transfers between bank accounts. If it fails to meet the government’s requirements, it could face dire consequences. India has previously disabled mobile internet services and cut off access to social media platforms for large numbers of people in the face of widespread unrest; I wouldn’t be surprised to see the government ban WhatsApp nationwide in a misguided and irresponsible attempt to curb lynchings in the country. As I’ve written before, India’s battle with fake news has more to do with a failure of the country’s government and society to develop a culture of questioning the veracity of publicly shared information, and a lack of faith in the country’s law enforcement machinery. Shooting the messenger – or in this case, the messaging service – is a clear sign of the government attempting to transfer blame for its shortcomings. For its part, WhatsApp seems to be trying to modify the user experience on its app with a light-touch approach. But it’s clear that if it wants to stamp out fake news, it’ll have to make much larger changes – which may not align with its strategy at present – to satisfy a demanding government in its largest market in the world, and it’s not going to be easy.